Will there be any changes to who is responsible for digital workplace in 3 years? 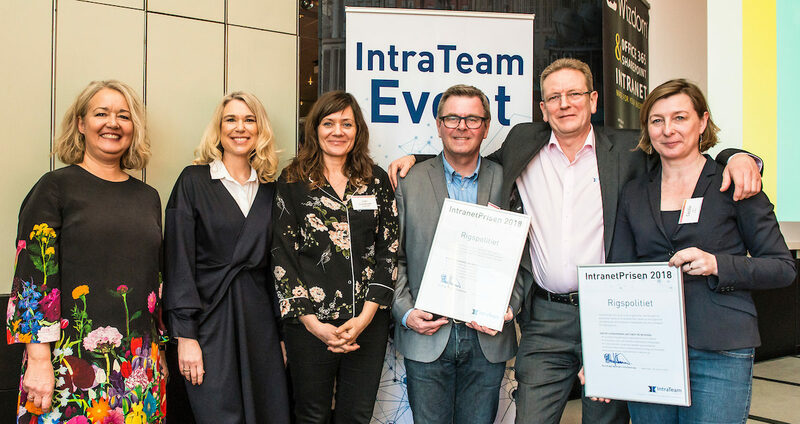 Some of the speakers from IntraTeam Event Copenhagen 2019 have answered questions regarding the intranet/digital workplace in the future. 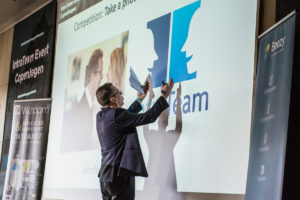 Below you can read what the speakers think about the question “Will there be any changes to who is responsible for digital workplace in 3 years?. There shouldn’t be any one person in charge of the Digital Workplace. It’s word that encapsulates change in an organization beyond IT. It’s a transformation of the business and its processes and will likely be done by various people in different departments. Cross line of business ownership gives a lot of advantages. I think we’ll see more dedicated intranet/collaboration managers, as businesses hopefully come to the realization that dedicated intranet resources will ensure the business ROI. I can see traditional admins and IT Pros moving more into the background, with users and business analysts controlling more of the technology in the foreground. This shift has been underway for a few years, but I think it will continue to accelerate. Ongoing shift to dedicated digital workplace teams. Depending on organization maturity, new staff function with merged HR/Comms/IT units will evolve. The digital workplace should be owned by not one individual but rather span across multiple line of business representatives including IT, HR and Communications. Organisations that succeed three years from now put together cross-functional teams and have stopped seeing the intranet/digital workplace as the property of only one unit/function. The business people – it’s not longer enough to rely on IT to develop business critical solutions and tell the business how to use technology. To tranform our businesses we must engage and empower the people who know our business best. Yes. It will run by dedicated digital ways of working team, with a broad mix of competencies and experiences. I don’t think that will have a significant change. I hope that comms, HR and IT will have a joint ownership in more organisations in the future. But I’m afraid that’s not going to happen. Not necessarily. We are going to see the consolidation of an emergent business practice that’s becoming more and more relevant over the years: transversal digital transformation teams. Knowledge workers and practitioners from different divisions / business units (IT, HR, Sales, Marketing, Communications, Transformation Office, etc.) will come together to construct those teams where everyone and no-one will own their digital transformation efforts. That co-ownership concept will remain one of the several success efforts from any digital workplace initiative. Either we all co-own it, or no-one will. The one single business unit being in charge will, finally, become a thing of the past! I believe the digital workplace should not only be driven by the Communications/HR department, but would be most successful if its supported by a company’s management team and is driven and executed by all functions within a company (IT, legal, comms, HR, operations, finance etc). Microsoft will be a more clear leader. Not while vendors of digital workplace technology target the IT department. This has to be a joint sponsorship between IT, Communications and HR with an agreed and approved shared vision of where the organizations wants to be. Given the enormous possibilities in Office 365 and modern learning platforms, people who take care of these will need to know much more about the strategy and business of the company. You no longer just take care of an intranet – you are in charge of a multitude of tools that can help people work smarter, increase sales, improve quality, and innovate faster. Therefore, we will be more of internal management consultants and psychologists. As the size of the digital workplace grows more resources will get more responsibilities cross line of business. It needs to be shared ownership between IT, Comms and HR. I think IT will have new roles evolving, taking a bigger responsibility to drive digital transformation across. This way we can scale. It will continue to shift away from IT as gate keepers and controllers to IT being enablers and supporters of organizational focus on improved utilization and impact from digital technology investments. There are signs of organisations taking employee experience more seriously. This could lead to brand and HR taking a greater interest in intranet and digital workplace than they have previously. The range of people involved in delivering a company’s digital workplace will expand to include people responsible for operations, staff management and training, and beyond. Intranet management experience will be essential in making sure newcomers don’t make old mistakes in governance, content design and lifecycles, or user experience design. Once digital workplace is more fully embraced by a majority of companies – and demonstrates consistent value to the business – I believe we’ll see interest from various parts of the business in participating in or even owning strategy, direction and decision-making. Communication professionals who want to remain in the driver’s seat – or at least the facilitator’s seat – must position themselves as appropriate strategic leaders. Engaging others in the process helps ensure ROI and buy-in. Meantime, IT needs to embrace its charge to keep the lights on, not make all the technology decisions. As now, I think this will vary from company to company. Those with O365 will probably see much more involvement from IT, if not complete ownership. My hope is that businesses see the need to involve other parts of the business to make it a success. This means that it will go beyond IT ’just installing it’, but with proper engagement and strategic thinking towards a wholistic approach to a digital workspace. With more control in the users’ hands though, this may mean that user research will become even more essential than it is now.